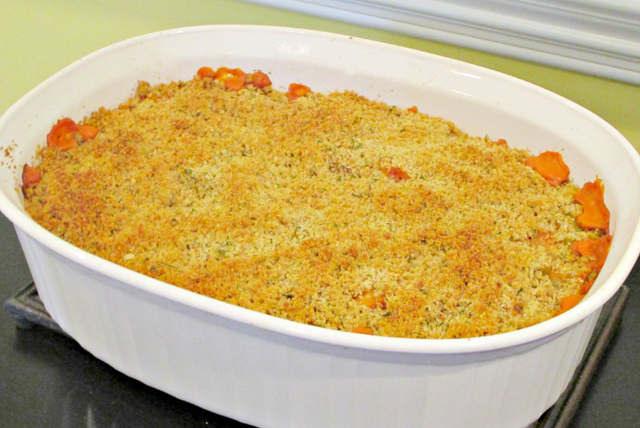 Try our delicious Creamy Baked Chicken and Rice Casserole Recipe. What makes this Creamy Baked Chicken and Rice Casserole so creamy? It's the sauce. Mix cream cheese spread, milk and seasonings in large bowl until blended. Stir in marinara sauce. Add rice, chicken, green beans and basil; mix well. Spoon into 2.5-qt. casserole dish, mine is 4x13x9, sprayed with non-stick cooking spray; cover. Bake 30 minutes. Uncover and stir. Combine remaining ingredients; sprinkle over casserole. Bake 20-25 minutes or until casserole is heated through and topping is golden brown. Let stand 5 minutes before serving. If your family doesn’t care for green beans, substitute another frozen vegetable like corn, peas or carrots.